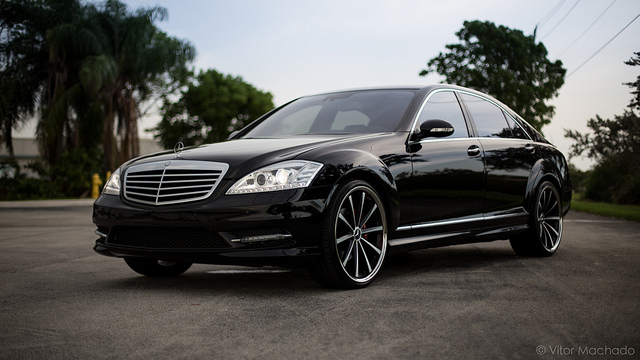 The Mercedes S550 is one of the best sedans sold on the market today. The auto is a luxury sedan that comes stock with a 4.7 liter twin-turbo V-8 engine rated at 449 horsepower. The auto comes with rear-wheel drive, but consumers can choose to upgrade to all-wheel drive as a dealer option. There is also a 6.0 liter twin-turbo V-12 available to upgrade to when buying the luxury sedan new, and all versions of the popular sedan come with a seven-speed automatic transmission. The S550 can go from zero to 60 MPH in just 4.5 seconds, and it has a top overall speed of 130 MPH. The overall fuel efficiency rating of the automobile is 16 MPG (city) and 24 MPG (highway).